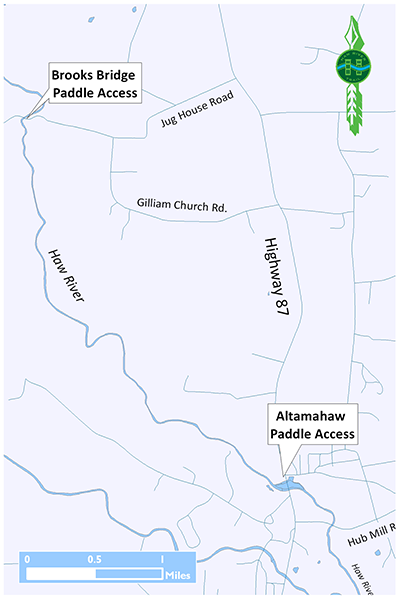 Altamahaw Paddle Access Temporarily Closed. Due to bridge construction the access will remain closed for an indeterminate time. Please plan your trip accordingly. Like most every river, the Haw gets bigger as it collects tributaries downstream. 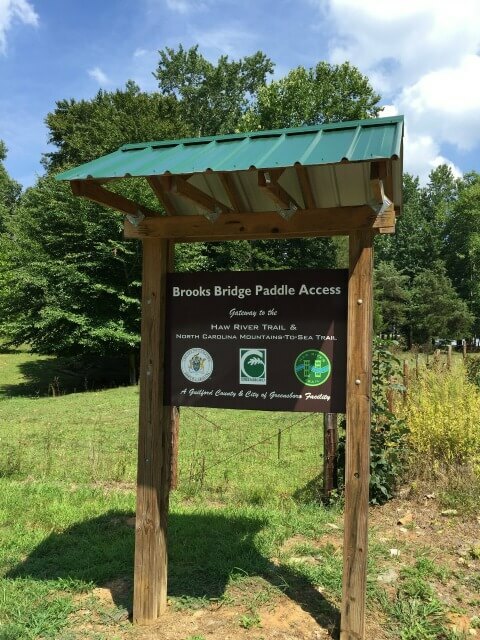 Yet it’s not size alone that makes the Haw seem a starkly different waterway below Saxapahaw than it is less than 30 miles north, where the Haw River Paddle Trail begins at Brooks Bridge Road. At the Brooks Bridge put-in you get a taste of what’s to come a ways down river: a feisty Class I rapid that encourages some quick maneuvering from the rock slab put-in. That’s all quickly behind you in the first 30 yards or so. 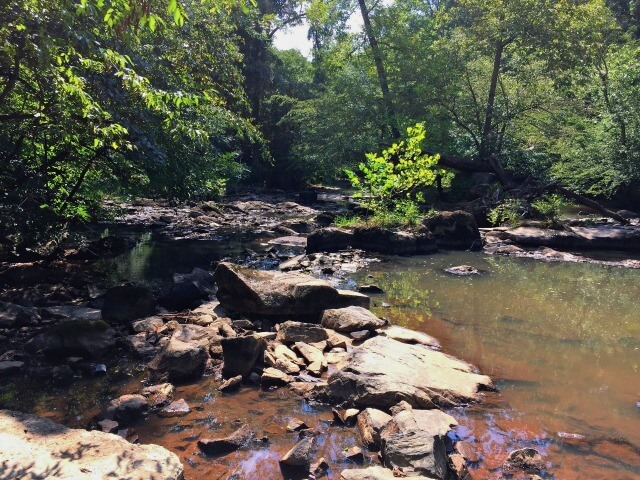 From there, the intimate, narrow Haw – rarely more than 20 feet from bank to bank – hushes itself with a quiet passage beneath a bottomland forest canopy that blocks the sun and a wickedly dense understory that blots out the slowly developing world beyond. Agriculture and private hunting grounds dominate the terrain, though there are signs of emerging development. Still, a quiet paddle is nearly assured on this stretch. 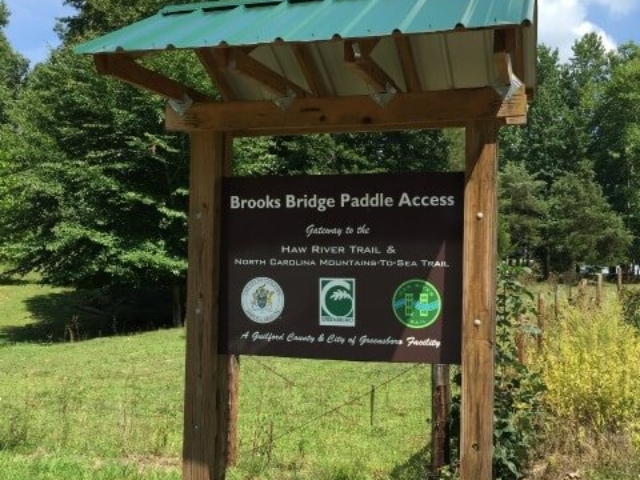 While the shuttle for this stretch is short and simple, you can avoid it altogether by putting in above the dam at the Altamahaw river access and paddling upstream. 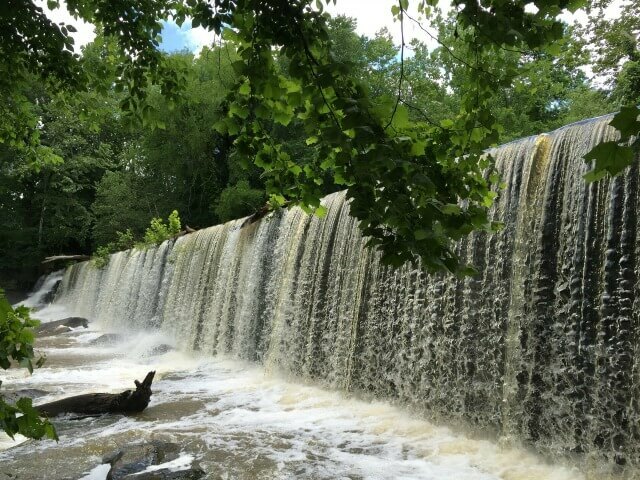 The current is negligible for at least the first mile and a half. Beware the take-out. There’s little warning of the looming dam; keep an eye out, river left, for the brown sign advising the imminent Altamahaw Paddle Access.